The majority of Russian citizens recently interviewed by the All Russian Center for Public Opinion Studies (VTsIOM) said that they are proud of and admire Russia's state symbols: 67 percent of respondents said they are proud of the national flag (58 percent in 2014), 69 percent mentioned the coat of arms (57 percent in 2014), and 72 percent the anthem (59 percent in 2014), VTsIOM has said. Less than 2 percent of respondents voiced their negative attitude to the state symbols, according to the poll results. The survey was conducted in 46 Russian regions on August 15-16 and involved 1,600 people. 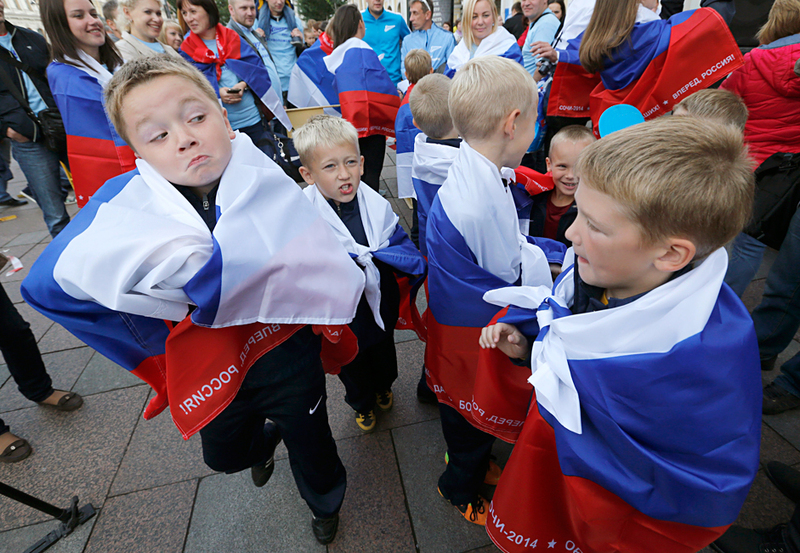 Thirteen percent of those polled said that they have no emotions towards the Russian flag, and 11 percent said they are indifferent towards the country's anthem and coat of arms. According to the center's sociologists, 82 percent percent of respondents answered the question of what the Russian Coat of Arms depicts correctly, 64 percent of those polled were able to correctly name the colors and their sequence on the flag, 24 percent correctly named the colors but were unable to give their right sequence, and 7 percent of respondents answered the entire question incorrectly. Forty-one percent of respondents managed to recall the first line of Russia's state anthem, 24 percent of those polled gave the wrong answer and another 35 percent were unable to answer this question. Russia's State Flag Day was established in 1994 and is marked annually on August 22.